NEOTRADE is a group of young, dynamic individuals committed to bring to fore the highest quality innovative learning events as conferences, seminars , workshops. It also produces trade shows, consumer/retail exhibits and expositions, plus advertising, marketing promotions, creative consultancy and publishing. 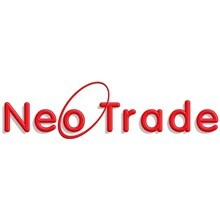 NEOTRADE was established in July 2003 and was incorporated in 2015 as NEO CCM ENTERPRISES EVENTS CORP to address the need for more aggressive and creative ventures in the meetings and event management industry, with a vision to create and implement innovative learning activities, functional quality expositions and corporate events and create high quality media work.